Baked Zucchini Chips with Yogurt Garlic Sauce, a delicious summer appetizer full of flavour. Healthy, refreshing, and so easy to make. A great choice for a picnic or healthy snack inbetween meals. There is something about zucchini that makes me cook with them again and again. On their own, they don’t say much to me, they can be quite boring really, no strong flavour or anything. But I guess that’s the beauty about them. The soak up all flavours of the other ingredients, and become ridiculously delicious, and super quick to cook. After my Baked Zucchini Bites, which were a super big hit with all of us, I decided to give these baked zucchini chips a go. You really, really, really must serve them with this finger-licking yogurt garlic sauce, it’s the best combination you can think of. 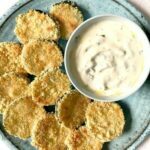 The cold sauce brings freshness and enhances the flavours, and makes you want to have one too many of these lovely baked zucchini chips. Baking is the winning option here, it’s healthier, tastier, and pretty quick too. 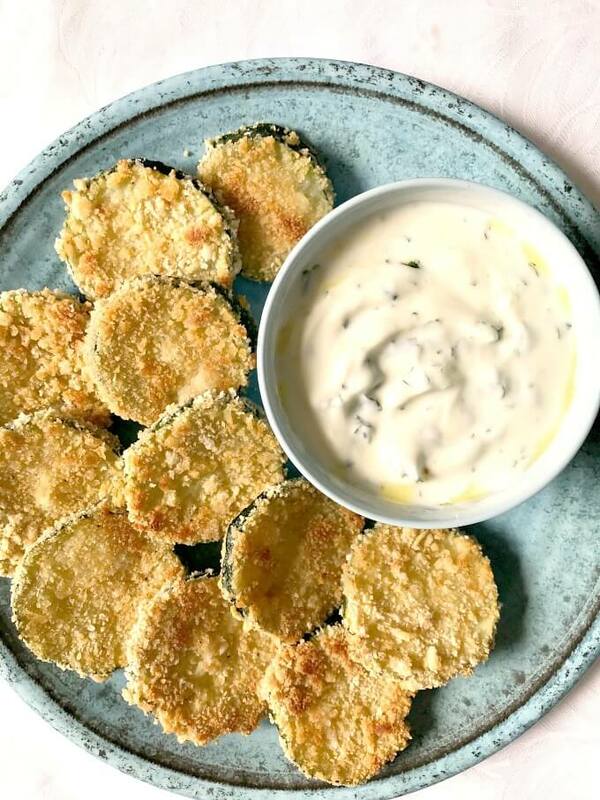 By the time you stink up the whole place if you fry them, not only you end up with a mess, but also the zucchini chips soak up way too much oil, and become heavy and greasy. Yuck! I cannot recommend the spray oil enough. It does the job in seconds, and saves you from the danger of drizzling over way too much oil. And it’s mess free too. Isn’t that great? You can find oil spray in pretty much any supermarket, the brand ones are a tad more expensive, but supermarkets own brand are actually not too bad. And trust me, you get to use the bottle for a looong time. After all, you don’t use it every single day, so it ends up being quite cheap in the long run. 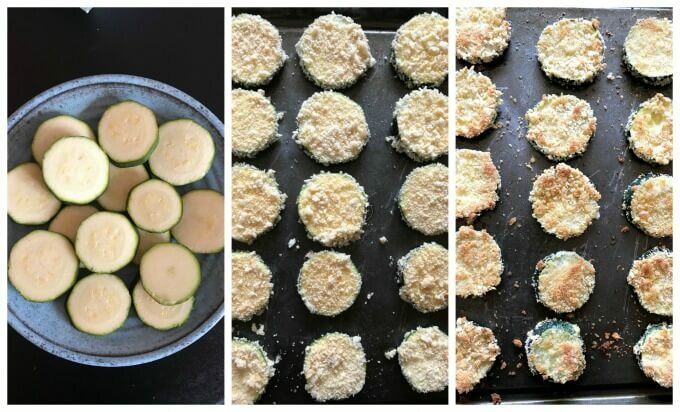 Now, all you need is flour and breadcrumbs to coat the zucchini, egg to make sure the breadcrumbs stick to the zucchini slices, and some nice parmesan and seasoning to give them a good kick. The parmesan does make quite a difference, but if you don’t have any, not to worry, the sauce is really good and will give you all the flavours you want. Make sure the chips are about the same thickness, so that they can bake at the same time. Thinner chips is better, they bake really nicely. How do you make the yogurt garlic sauce? It’s one of th easiest and quickest sauces to make. Not to mention is so delicious. 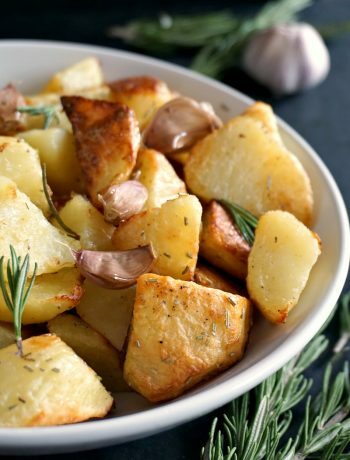 It also goes very well with grilled chicken, or any other roast. Combine all the ingredients together, and there you have it, the very best yogurt sauce. 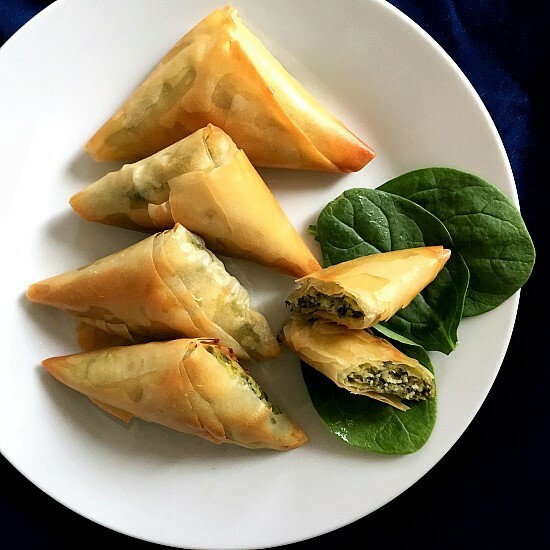 And there you have, a beautiful appetizer for any party, they are an excellent crowd pleaser, and are guaranteed to disappear in seconds. 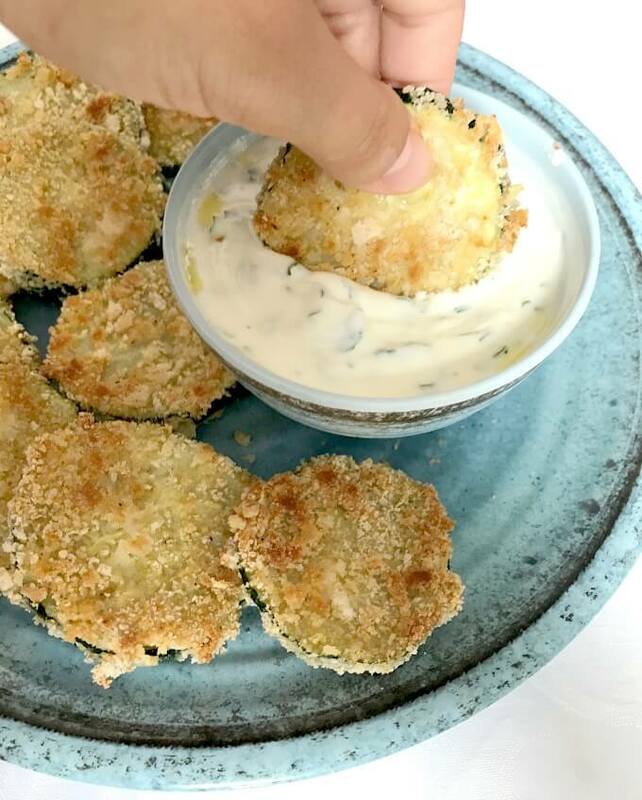 If you’ve tried this BAKED ZUCCHINI CHIPS WITH YOGURT GARLIC SAUCE or any other recipe on the blog then don’t forget to rate the recipe and let me know how you got on in the comments below, I love hearing from you! You can also FOLLOW ME on FACEBOOK, and PINTEREST to see more delicious food and what I’m getting up to. Baked Zucchini Chips with Yogurt Garlic Sauce, a delicious summer appetizer full of flavour. Healthy, refreshing, and so easy to make. To make the sauce, combine all the ingredients, give a good stir, then refrigerate. Use oil spray to grease a baking tray. Combine the parmesan, salt and pepper with the breadcrumbs. Beat the egg slightly, then coat the zucchini with flour, then egg, then the breadcrumb mixture. Arrange on the baking tray, then spray some more oil over each zucchini slice. Bake in the oven for about 20 minutes or until golden brown. 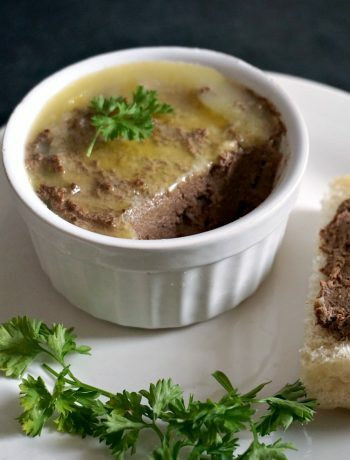 Serve with the yogurt garlic sauce.